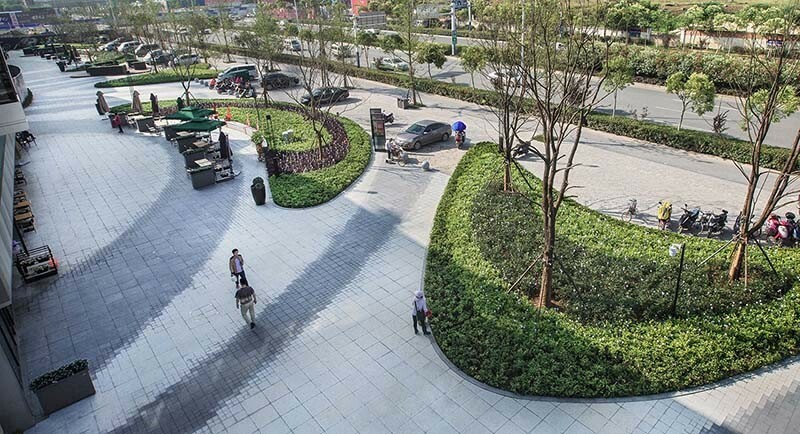 Large urban retail developments can often feel like concrete jungles, but our latest project in the eastern Chinese province of Anhui shows how well-considered urban landscapes can not only respect a site’s surrounding green assets but also enhance the way people interact with both nature and retail environments. 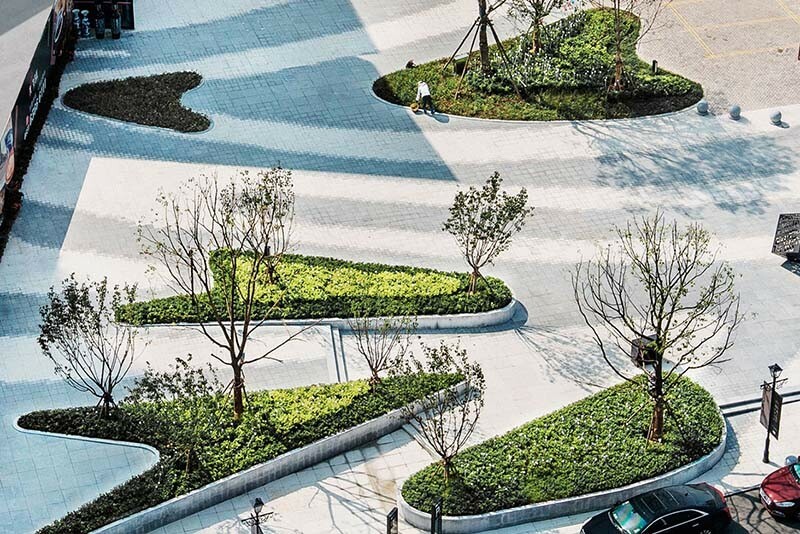 We were recently engaged by the Vanke Group to design the landscape for their landmark Light of the City development, which consists of a podium shopping mall and a high-rise office tower. Located in Hefei City in China’s Anhui Province, the site has a small river at its south side, which separates the retail development from the adjacent residential developments. 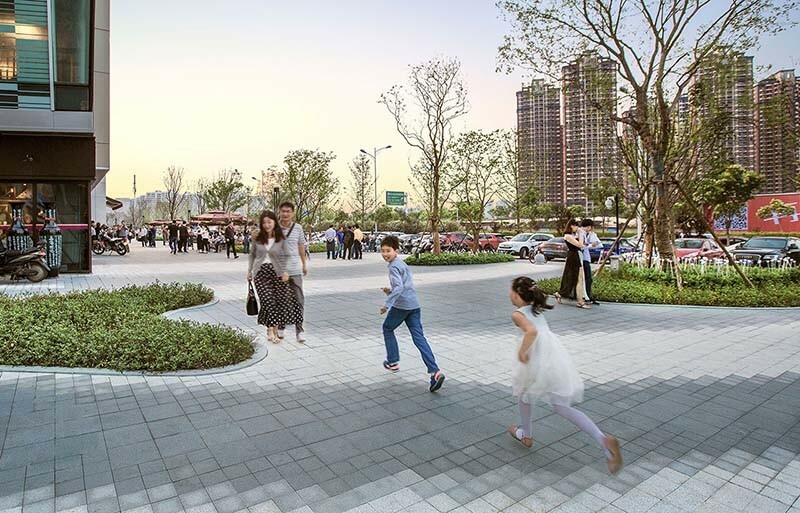 Hefei’s dry climate attracts locals to the riverfront area for relaxing and socialising, so the development’s landscape needed to respond to this tradition. We worked closely with the client team to develop an integrated framework of people-orientated experiences and functions to meet both the social and commercial needs of the project. Inspired by the flowing nature of the River, the design was developed to stimulate visitor experience and to encourage movement and connectivity. 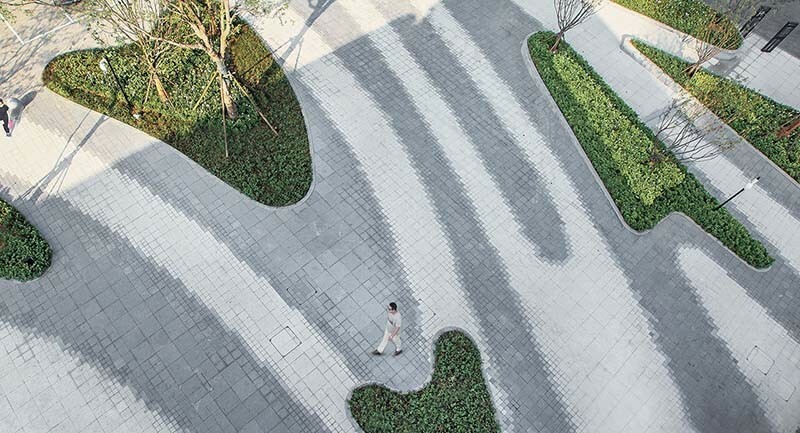 The design framework has a spatial rhythm, which is aided by flowing lines of paving to direct people to move into different spaces of the site. Our design was developed using 3D technology to maximise the visual effect and nature feeling. 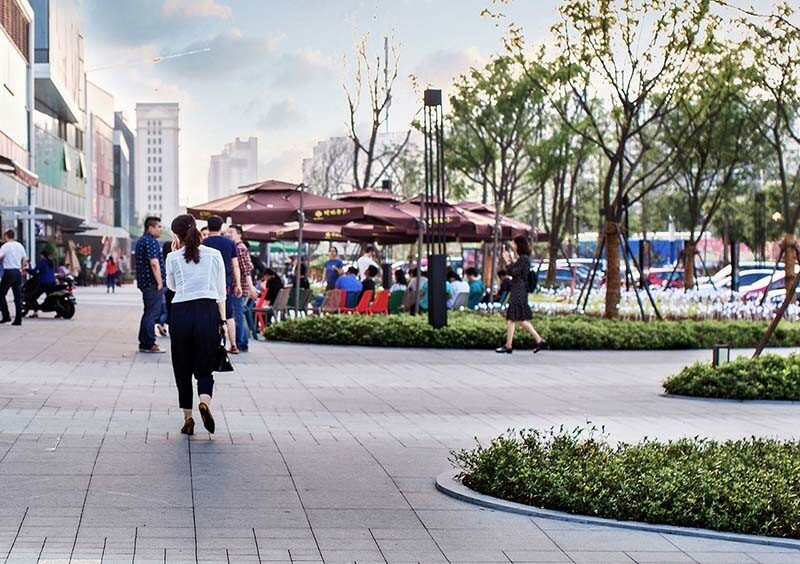 There are green public spaces, activated retail frontages and inviting public plazas. There are also two key entry plazas for events and gatherings with interactive water jets and public art and the natural world is further evoked through plantings, lighting and water features. 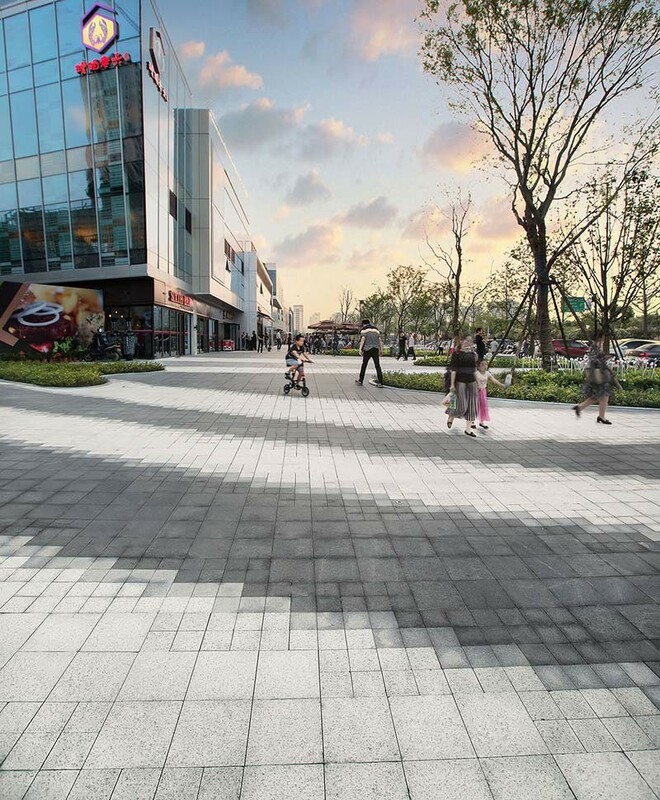 The landscape provides ample opportunities for people to connect in a vibrant retail environment and a sense of nature pervades the entire design. A central plaza features a vertical garden and balcony spaces are enlivened with climbing and hanging plants. 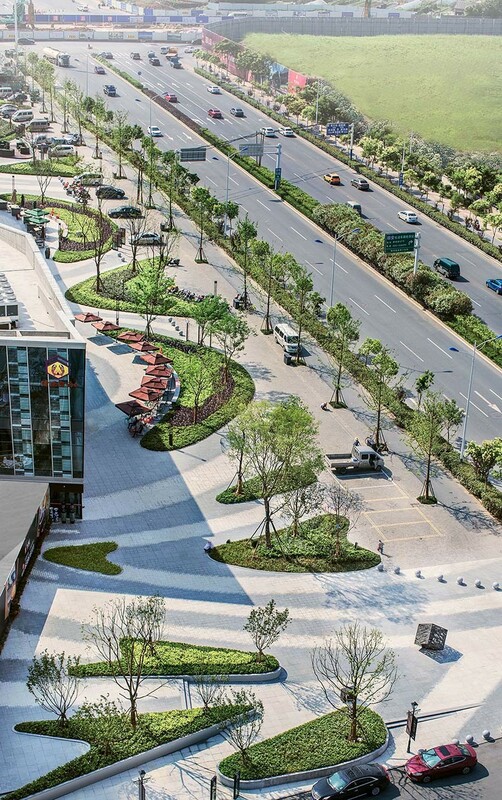 The inner retail street also has flowing planting islands and an abundance of seating for relaxing and socializing. 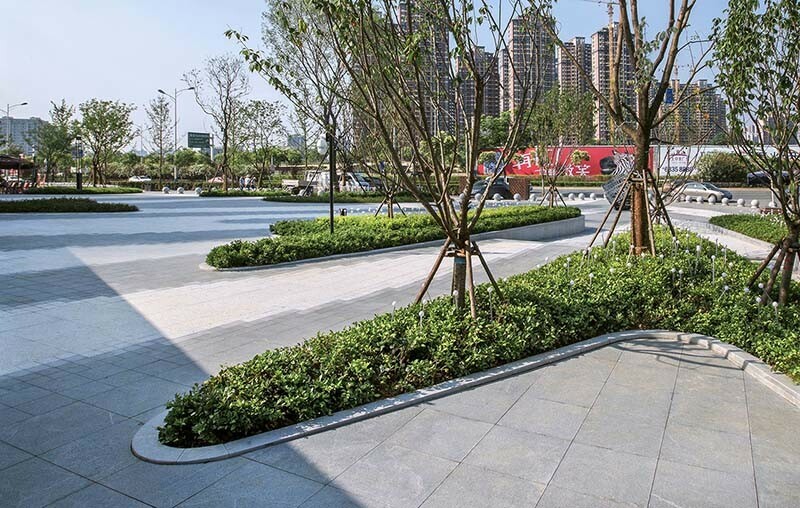 A combination of standard square paving modules has been used to achieve the “curve line” effect. Our team was on site to guide the contractors overseeing the implementation to ensure the project vision and details were realised with the highest quality design outcome. The Light of the City development provides many opportunities for the community to come together for a variety of experiences in a green urban retail development. It’s a vibrant and inviting retail hub that is designed for people and place.